Places to visit in the Philippines are among the best in the world. Beaches, unusual travel destinations, diving spots, nature scenes – you name it and the Philippines has it. You have more than 7,000 islands to choose from. Beaches in the Philippines are among the world’s finest. You can enjoy the white sand as it gently touches your bare feet. 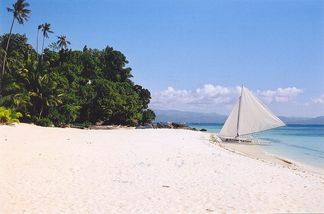 Spend a day or two in Boracay, famous for its powdery white sand and breathtaking beauty with sparkling emerald waters. You will have no idle time because exciting things never run out in Bora. Some best places to visit are also unusual travel destinations. 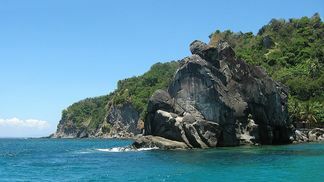 Take for instance Apo Island in Negros Oriental. Feel and be one with nature as you explore marine life beneath the calm waves of the sea. Swim with hammerheads, stingrays, and a bounty of colorful fishes near the coral beds. 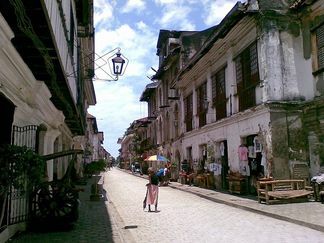 Catch a glimpse of history in its perfect form and frolic along the roads of Mestizo District in Vigan, Ilocos Sur. The soft trot of horses gaily pulling kalesas further gives you that old classic feel. Century-old houses beckon you on to go back in time and see the glorious beauty of the rich Castillan architecture of the 18th century. 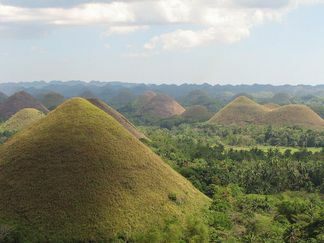 The Chocolate Hills in Bohol is also one of the best places to visit in the Philippines. Over a thousand hills look like mounds of chocolates and rise some 30 meters above the ground. Enjoy this splendor and beauty during summer, when the hills turn charming brown. Or go to the island province of Cebu. Taste a tropical island life with its gentle weather, pristine beaches and crystal clear waters. You can mix leisure and business with the frills of modern living in the country’s second biggest metropolis. And don’t worry about the weather in other parts of the Philippines. 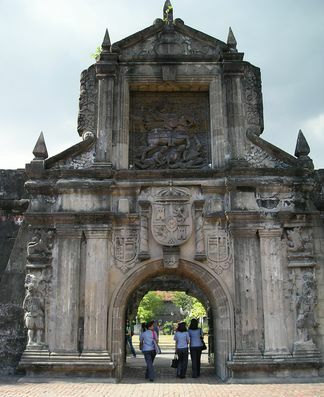 Since we only have rainy and summer or dry season, you can always find places to visit. The weather gives you more reasons to go where you want to be. There are great places to visit in the Philippines for every season. 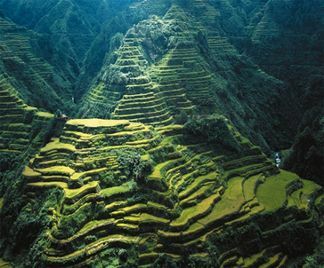 The Banaue Rice Terraces is a great place that shines in any season. These man-made rice paddies are good for just plain sight seeing or trekking to the sky. Be there before during harvest and glow with the view of golden rice grains during sunrise. If you are looking for an urban jungle, look no further. Manila offers secrets that we Filipinos would like to keep for ourselves. You will be amazed at the spots that you almost do not know about, but proud to share with foreigner friends. The Philippines is one of the richest travel destinations. The choices are endless for returning Filipino immigrants and Overseas Filipino Workers. The best places to visit in the Philippines make wonderful memories last. Place to Visit in the Philippines? For returning Filipino immigrants and OFWs, the Philippines is about places to visit with family and friends. Each has its own story to share. What's yours? Click on the links below to see other OFWs' and Filipino immigrants' favorite places to visit in the Philippines.